Over 5,000,000 downloads! Videolicious 5 is beautifully designed to make high quality video creation even easier and faster! Instantly weave together interviews, videos, photos, music and more into a sophisticated video production—in seconds. 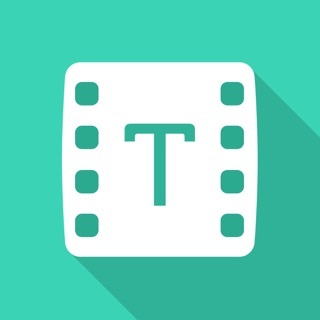 Just talk and tap—or watch and tap—to make the perfect video. Already an essential app for journalists at the world’s biggest newspapers, magazines, television and radio stations, as well as marketing and sales professionals, recruiters and corporate communicators, Videolicious can help anyone unlock the power of video to tell incredible stories. Please email us at support@videolicious for help, questions, and suggestions. Thanks! New options to create video messages enhanced with patented word-level effectiveness analytics. Disappointing business model for a great app! This is impressive technology and an awesome app for large organizations. However, the business model of only licensing at the enterprise level makes it unreachable for entrepreneurs and small-business. A huge segment of the market cannot reap the benefits of this tool and Videolicious as a company is leaving significant potential revenue on the table. The functional and legal limitations on a personal account prohibiting the license from being used for commercial purposes and limiting the storage and available functionality are very disappointing. As a tool ... 5-stars. This rating, however, is specific to the fact that I can’t purchase a license to use it. Thanks for your feedback, we hope to be able to grow our offerings to include a broader audience and we appreciate your interest! This app is so buggy it is virtually unusable. Every time I make a video (quite literally, EVERY SINGLE TIME) I have to redo my work at least three times. This is due to a tendency for the app to lock when I try to save my work. Once it freezes, my only option is to close the app (wiping out all of my work thus far). When I am finally able to complete a video it turns out very nicely. It just takes 3-4 times longer than it should. I use this app because it is available through my company, but I am looking for other options at this point. If you don’t have the app already, don’t bother. I used to create awesome videos with this app. I left it alone for a year, just came back, does not allow to create an account - just sign in. I don’t even rembeber my email address. How am i supposed to sign in? And it took me straight to creating a follow up email to a client that i don’t care about - what’s going on? Is this a prank? I was so confused cause I just wanted to make a video the way I know this app does and the way they have it on their description ~I had to go back and forth to the app store to see if I was even in the same app!! 10 minutes later I can't still figure it out and no way to get in. Thanks for your response. To create a new account, please contact sales@videolicious.com and a representatvie will be happy to help you.